Suspecting an abnormality, such as a lump or mass, can be very disconcerting. Your mind races to many different areas. After these initial feelings of stress, your thought process becomes clear. You want to find out exactly what it is and what needs to be done. Fine Needle Aspiration is the procedure that can provide accurate results immediately, so you can know very quickly what is happening and what your diagnosis is. This speed and accuracy can institute your plan of action much earlier than with other diagnostic methods. Other procedures can be more invasive and also take much more time to obtain the results. That simply provides for more worry and concern as well as a delay in treatment, if that is what is needed. As mentioned, the procedure is quick, generally taking only about 20 minutes, with you jumping back into your normal life routine immediately because it is not as invasive as other surgical biopsies. There is not much to the FNA procedure. Many times the physician will also ask for an ultrasound, to get even more accurate information on the lump itself. This will guide the doctor when performing Fine Needle Aspiration. Using the ultrasound as a guide the Cytopathologist will insert a needle into the area to be examined. 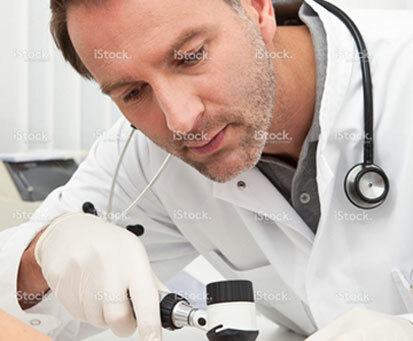 The needle will extract fluid and cells from the lump or mass to be studied. Generally, two or three aspirations are needed to have enough cells for a thorough examination. Each aspiration only takes between 20 and 30 seconds. Once those are complete, they are placed on a slide to be looked at in the lab. The reading and diagnosis process is literally almost immediate. The patient will not have to wait a few days, or weeks, for test results to come back. This is another integral part of the procedure – the fact that your test is looked at on the spot with results available while you are still in the office. This eliminates the mental anguish that a patient may feel during that wait, not knowing exactly what is happening or moving onto treatment options, if that is what is needed. Once the diagnosis is obtained, the patient’s physician is notified officially within one to three days. At that point, a plan of action can start to evolve for treatment. The procedure has been shown to be very accurate. This coupled with the fact that results are examined by a Cytopathologist, make the test results and diagnosis extremely reliable.